Month in and month out, I use my Gardena wand more than any other gardening tool in our California gardens. 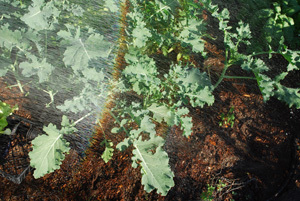 There's no better way to water freshly seeded beds, or seedlings in the nursery. It has a fine-mesh screen, so the water fans out into a gentle spray like rain, delicate enough for tiny seedlings in nurseries and seedbeds. Yet it still delivers plenty of water to thirsty plants. Every other watering wand I’ve tried—and I’ve tried many—had too hard a spray, and blasted the plants and soil, even when it’s set on “shower”. 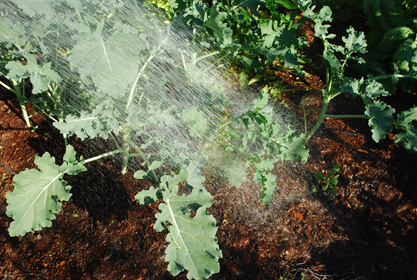 Hard watering can injure delicate seedlings, and injured stems and leaves—especially when it’s wet—are an entry point for plant diseases. Pounding the soil surface with too strong a stream of water also damages soil structure and splashes soil—and disease-causing bacteria and fungal spores—onto the undersides of your vegetable leaves. In 2011, I consulted for an aquaponics farm that seeded 15,000 lettuce seedlings a week. When I asked how they watered the delicate seedlings in the nursery, the owner showed me a water wand that doubled seedlings over with its spray. I told him it was too strong, he said "Tell me about it," and pulled out 4 other watering wands he'd bought, and said that was the best of the lot. I brought my Gardena Soft Spray Wand over the next day for him to try out, and he immediately ordered 2 more of them for the nursery. I recommend Gardena water wands to all my clients, and every client who's bought one is glad she did. Hold the end of the hose, not the water wand, when dragging the weight of the hose around the garden. Gardena makes 2 cheaper soft spray wand models, the 9123, and the 7-pattern water wand. Don't buy either of these. The low-end soft spray wand (Model 9123) used to be durable--I had one for 12 years--but they redesigned it with a flimsy thumb lever that stiffens with time and breaks within a year or two of purchase. I used to be able to recommend this wand, but can no longer do so after multiple failures at clients' gardens. The 7-pattern water wand (Model 39149) doesn't have the fine mesh screen featured in the other two models, so the Spray setting blasts plants with a hard spray like other water wands on the market. It's also a pain to clean if any debris gets caught inside, since you need a screwdriver to take the head off. 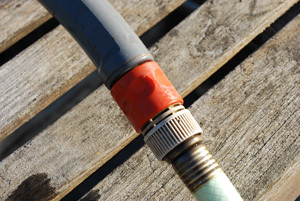 I can and do recommend the Gardena 8155 Premium 3-Pattern Garden Hose Watering Wand . It has the same soft spray head with a much more durable thumb valve that allows you to adjust the flow rate quickly and easily. It also has misting and hard jet settings that make it more versatile. 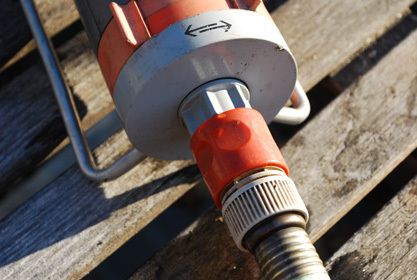 Take the wand inside, or unsnap it from the hose and drain it, before winter. If you read a bad review that says "the shaft cracked after the first winter", it's because the user left water in the wand, it froze, and cracked the shaft. This will happen to any water wand left full of water in freezing weather. The Gardena Soft Spray Wand is simply the best watering wand on the market. 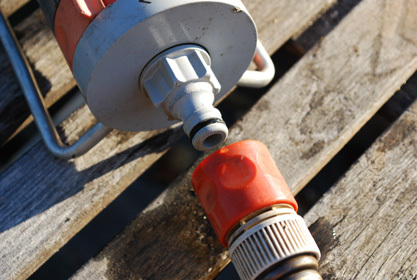 It also uses Gardena snap connectors, so you can unsnap the wand and plug the hose into a Gardena sprinkler or any number of Gardena attachments. Gardena connectors are UV resistant and last for years. To see the Gardena Aquazoom Sprinkler and other attachments, or to Order a Gardena Soft Spray Wand, click Here.